Over 25 years of experience in growing Dendrobium Nobilé. 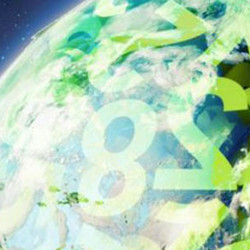 Two sites where growing activities are carried out with passion and a focus on the environment. The fact that we have so many years of experience and an area of 52,000 m2 dedicated to one plant leaves little doubt that we really do love our product. The expertise involved in growing orchids is in our genes. 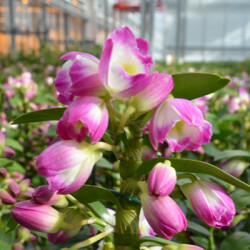 The focus we have on Dendrobium Nobilé makes us the absolute specialist in the market. We are able to deliver the same quality all year round, and not only in white, but also in plenty of other colours. 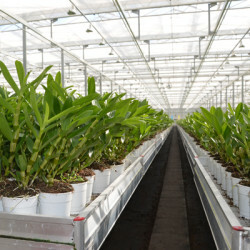 De Hoog Orchids is a modern company and keeps focused on the environment during the entire cultivation process. Our systems are optimised to produce a perfect product while also putting as little strain on the environment as possible. Ranging across all aspects from raw materials to logistics, lighting to ventilation, the cultivation of Dendrobium Nobilé is all about efficiency, caring for the environment and social responsibility. We have MPS-A+ and MPS-GAP certification, which just goes to demonstrate our high levels of environmental care during the growing process. Light that is less forthcoming from the sun during the winter months is complemented by assimilation lighting. 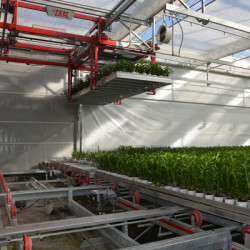 This means that we can continue to deliver top quality plants, even in wintertime. This ‘growth light’ also encourages new shoots to form. 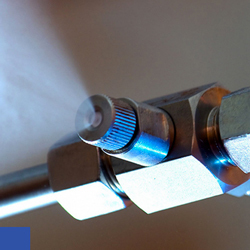 LED lighting is what we use in our refrigeration unit. 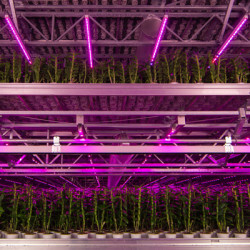 LED lighting promotes better bud formation and consumes less energy. CO2 is essential for the plant to develop. 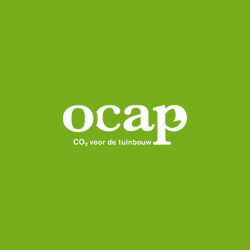 CO2 is taken from the OCAP, a pipeline through which Shell supplies CO2. This CO2 is a waste product produced by Shell during the refinery process and a building material, which allows the plant to grow. Using gas to create our own energy, steam and heat. The electricity that is required to make the lamps work is supplied by a generator. 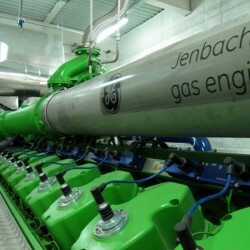 The heat that is generated in this process is then used to warm the greenhouses. This ensures the best possible return. The refrigeration unit serves 2 purposes. In the refrigeration zone the unit allows the plants to bloom, or encourages buds to form. 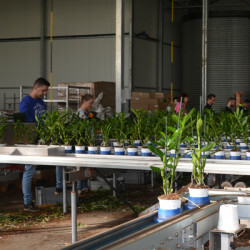 Meanwhile in the propagation zone refrigeration allows the plant to propagate gently, which in turn benefits the plant’s quality and longevity. 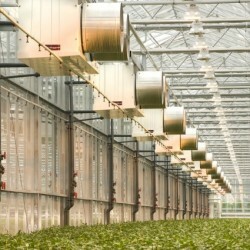 By using a process of humidification we can bring the high temperatures in the greenhouse down to the ideal temperature. When humidity levels are too low (RV) to be beneficial to the plant, we can optimise the climate by way of humidification. The use of cameras and a watering system during the delivery process allows us to sort and supply your orders as accurately as possible as well as providing sufficient water during transportation. 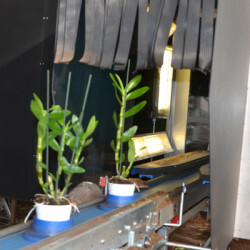 When transporting and moving our plants we use a completely automated container system. 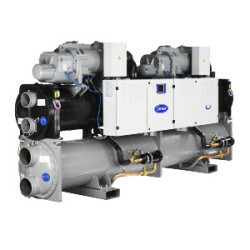 By using a heat pump and heat and cold sources, we are able to create heat and cold in the most environmentally friendly manner. 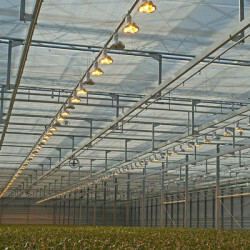 Heat to warm the greenhouses in wintertime and cold to keep them cool during the summer.